6th Annual Addiction Symposium | The Danya Institute Inc. This year’s Addiction Medicine Symposium is designed for a wide audience of professionals who interact with those struggling with addiction, and feature experts in the area of pain management, medicated assisted treatment, and Behavioral Pharmacology. Cost: $50 pre-registration by Sept. 23; $65 late/onsite registration. Narcan product cost: $50. 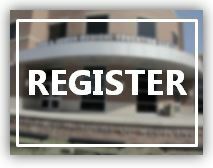 Registration includes: conference materials, continental breakfast, lunch, and continuing education hours. This activity has been planned and implemented in accordance with the accreditation requirements and policies of the Accreditation Council for Continuing Medical Education (ACCME) through the joint providership of the Medical Society of Delaware and Christiana Care Health System. The Medical Society of Delaware is accredited by the ACCME to provide CME activities for physicians. The Medical Society of Delaware designates this live continuing medical education activity for a maximum of 6 AMA PRA Category 1 Credits™. Physicians should claim only the credit commensurate with the extent of their participation in the activity. It is the policy of the Medical Society of Delaware to comply with the ACCME Standards for Commercial Support of Continuing Medical Education. 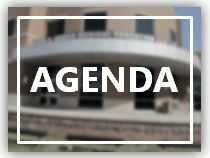 In keeping with these standards, all faculty participating in continuing medical education activities jointly provided by the Medical Society of Delaware are expected to disclose to the activity audience any real or apparent conflicts of interest related to the content of their presentation. Joint providership of CME by the Medical Society of Delaware in no way implies endorsement or recommendation of any product or service.